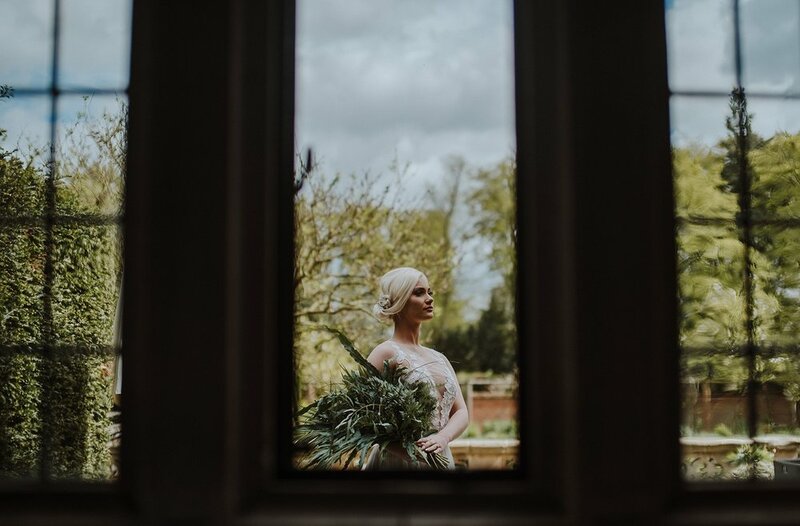 Wedding inspiration at Lanwades Hall in Suffolk with an amazing group of suppliers. 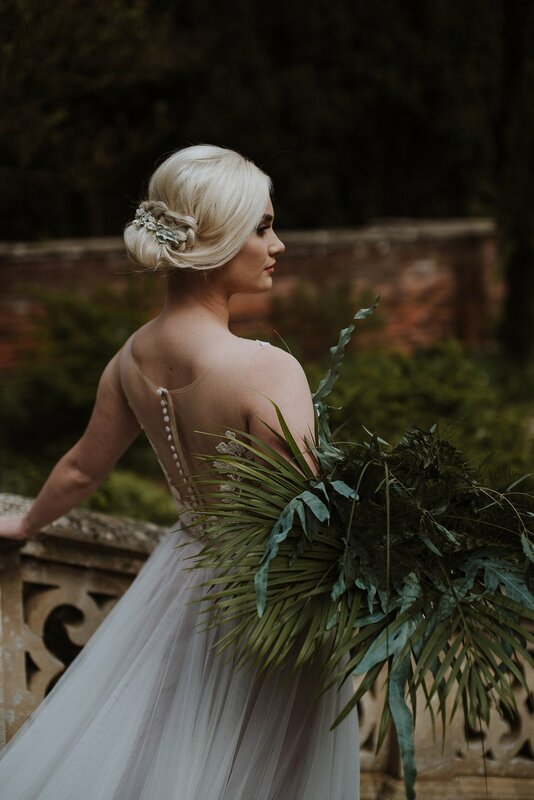 All the way back in April I had the absolute pleasure of collaborating on a really lovely styled at Lanwades Hall in Suffolk. 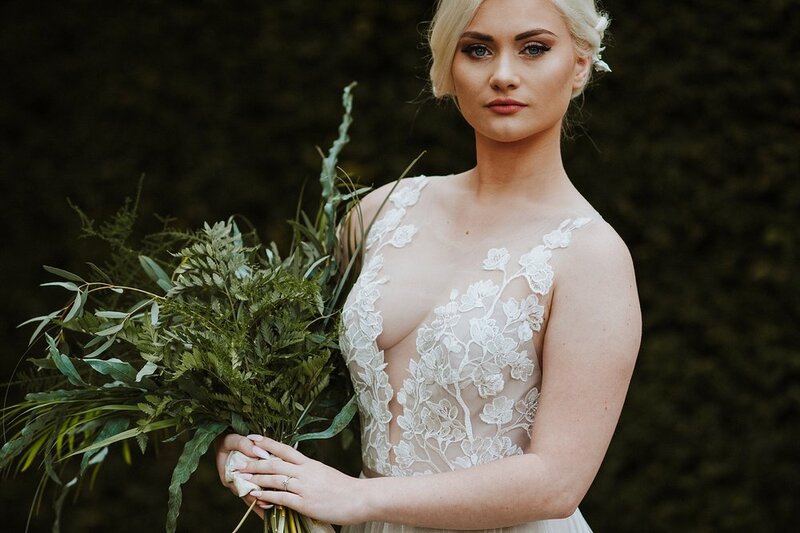 Now that is has been published in Whimsical Wonderland Weddings I am now able to fully show off the talents of the people who worked so hard to bring this shoot together. 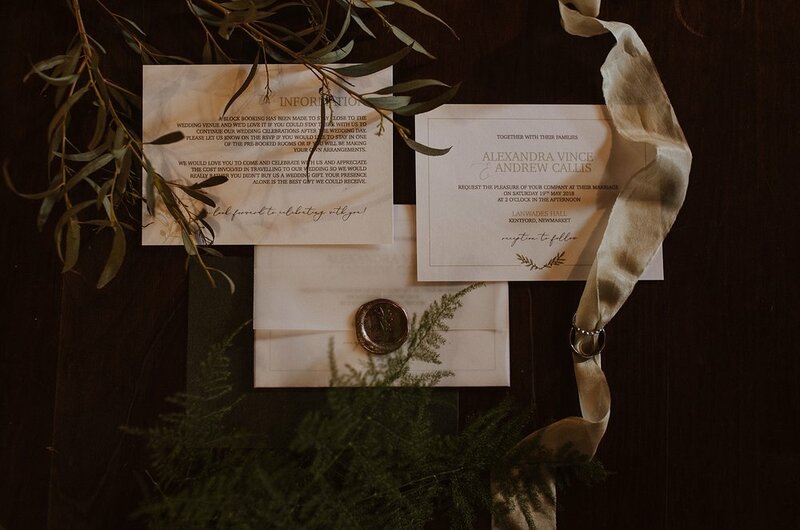 Gemma Guy, calligrapher extraordinaire came up with the concept of a luxurious and foliage led shoot with a moody twist and I knew this would be something I would love to be a part of. I was not disappointed. Lanwades is an incredible backdrop for a start. 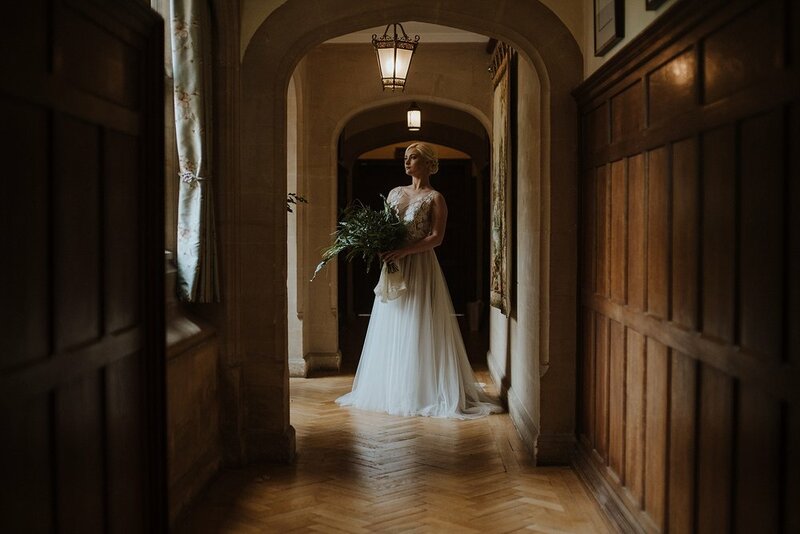 Dark wood panelling, strong light and stunning gardens, it really was the perfect setting for Gemma’s vision. 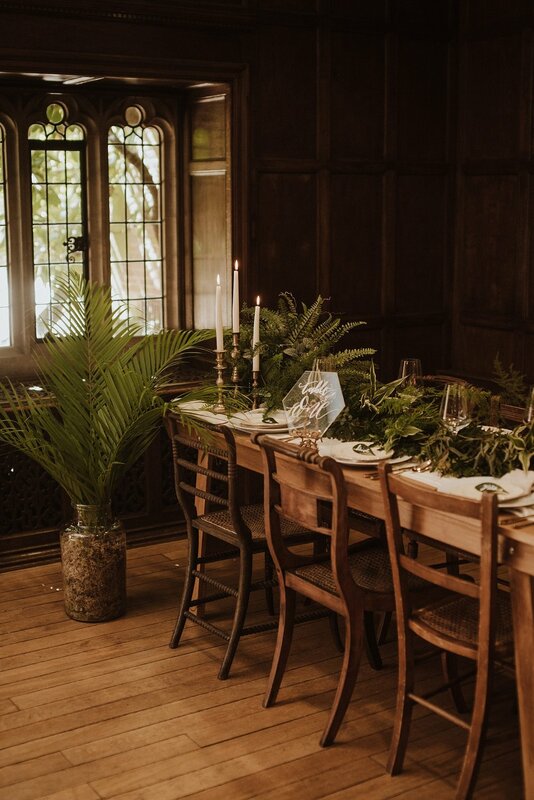 The table and ceremony set up looked beautiful with the foliage display created by VV Raven, Gemma’s calligraphy and props provided by Brown Birds wedding hire. Lit with candles against the dark wood of the venue it gave off a stunning atmosphere showing that not all wedding design needs to be bright colours and light to give a sense of beauty. Jess our model was AMAZING. Dressed by House of Snow in Wtoo by Watters and hair & makeup by Simone she looked like Daenerys Targaryen. 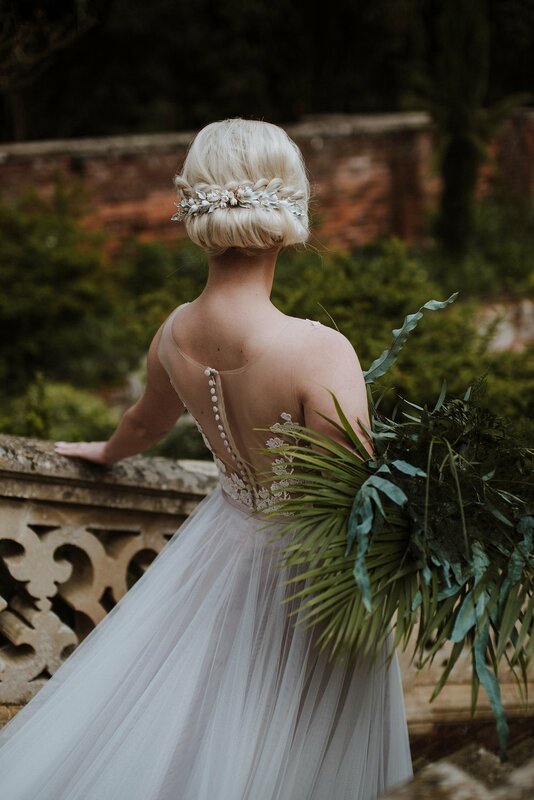 The hair pieces from PS With Love were just wonderful as well. Anyone who knows me knows that I do not like to photograph women as delicate flowers. I love strong portraits of women, that are both striking and beautiful and Jess showed up for that perfectly. Wedding Photographer in Surrey with Emily & James and their epic outdoor wedding.